Hello there! As always, I’m here for a new « Birchbox of the month« , which this time is a cute little pink box called « Things We Love« , thanks to Valentine’s Day. Can we all enjoy and take a few seconds to take a look at it before I start? First thing first, this box offers us two products for the face. First one, is a Ginseng BB Cream from Erborian (Korean Skin Therapy) and it is A-mazing. I’ve used it many times and it matches my skin perfectly, -and for a really pale girl, this is more than a good point. 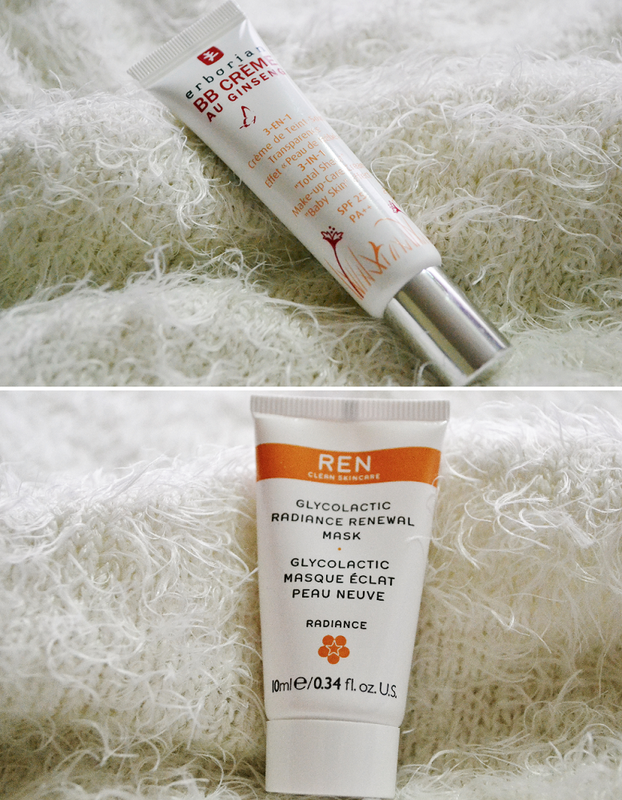 Next, it is a face mask, a Glycolactil Radiance Renewal mask, from Ren. Lemon and grapes are here to take away the dead skin and help the face to look more fresh and clean. Perfect combo! Then, there is always a little bit of make-up. 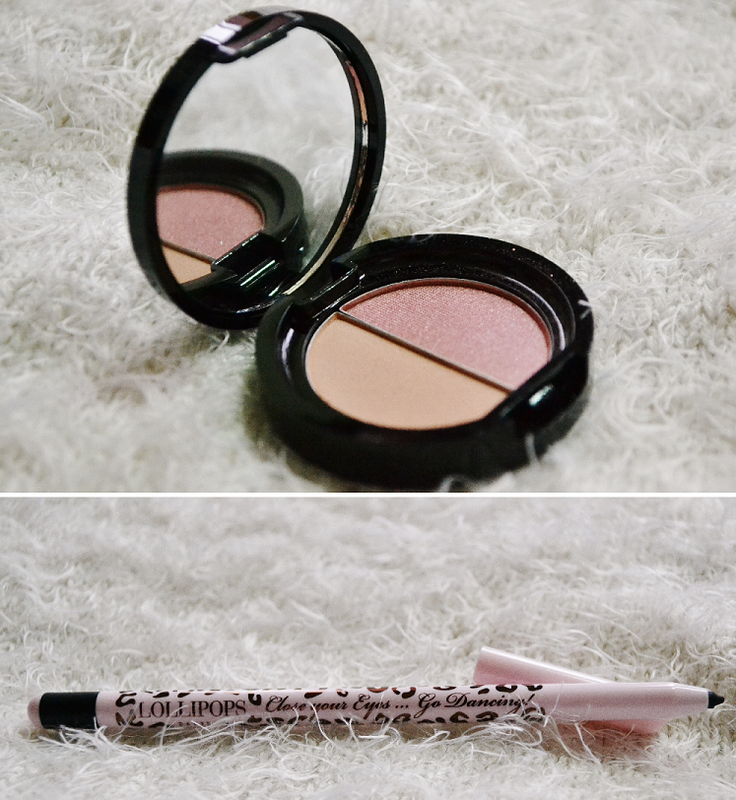 This month, it’s a Jelly Pong Pong Bronzer-Duo and an eye pencil from Lollipops. Both are gorgeous. The bronzer is a perfection with its glittery pink blush and its peachy powder, great for countouring or simply bring a little warm to the face. Talking about the eye pencil, I just have one simple thing to share: you’re late, in a hurry and aware that if you do your eyeliner right now it will be a total mess? Now, everything is gonna be alright. 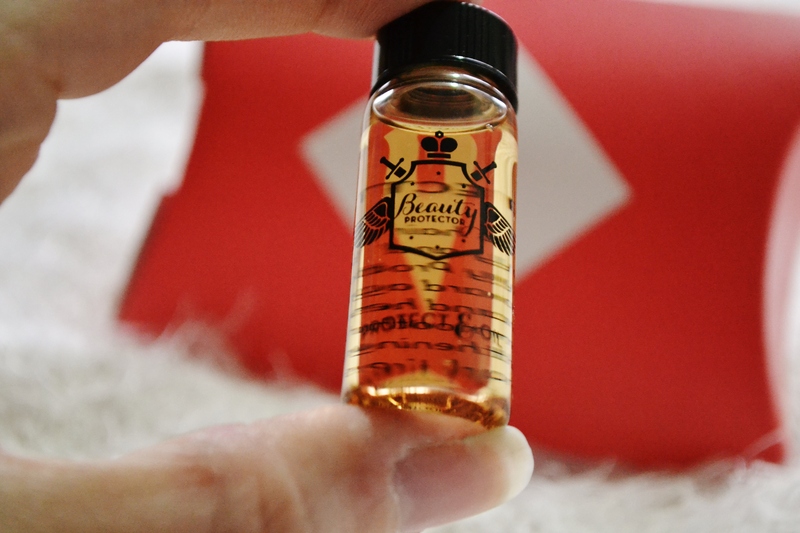 I’m gonna be short on the last product because it’s a heat protecting and nourishing oil from Beauty Protector. No need to explain why it is such a must have. Girls, if you wanna curl, straight or do anything on your hair that’s including heat, you need to protect it! Plus, this little cute thing smells like cotton candy and is full or argan oil so, it’s a real pleasure to apply! Like I said previoulsy, I also did a little shopping on Birchbox website, thanks to the Winter Sales. 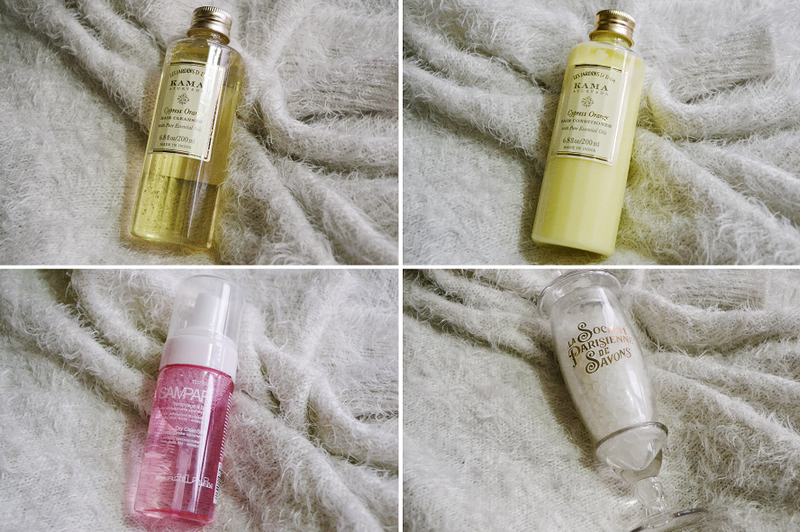 I’m always trying out new things when it comes to hair, I just don’t want it to get used to something, so, I’ve order some Kama Ayurveda products and I’m still not regretting it. I’ve bought the « Cypress Orange » duo (shampoo and conditioner) and the smell is gorgeous. My hair smells now gorgeous and feels clean and fresh, what else? I’ve also order the Dry Cleanser from Sampar. I’ve talked about it in a previous blog post and I haven’t changed my mind, this product is a life-saver. It cleans all my face no matter what make-up I have on. Perfection. Finally, I can’t resist some bath salt, so I’ve bought the « Marjolis » scent from La Société Parisienne de Savons. Yep, bath always means candles, tea and bath salt for me, so what? 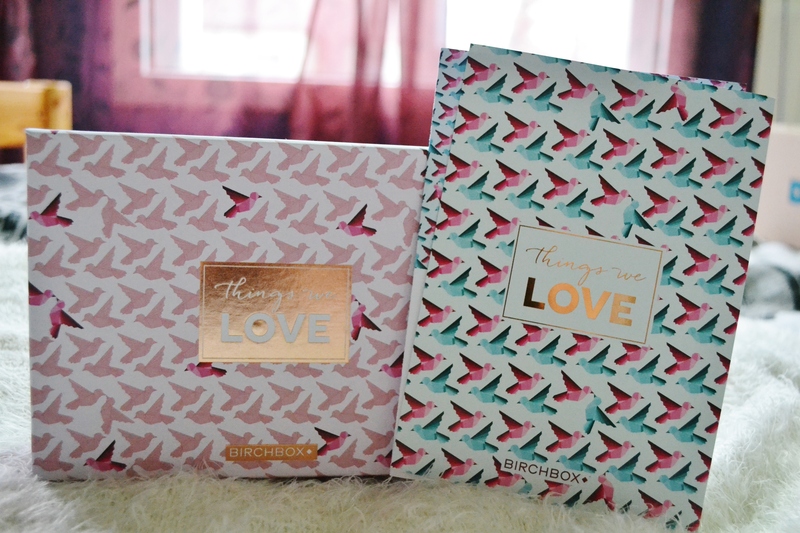 Do you already know Birchbox? Let me know what is your favorite product in the comment! You’re French and you wanna subscribe? Use this link to get extra points (which brings extra money ;)) / Si tu es Française et que tu veux découvrir Birchbox ou t’abonner, clique sur le lien juste au-dessus pour gagner des points bonus qui te feront économiser de l’argent pour acheter sur l’e-shop!